Matt Nathanson, a folk and rock singer-songwriter with 10 full-length albums, is coming to Columbia on his Last of the Great Pretenders Tour! Nathanson's tour is promoting his most recent album, which was released in July. 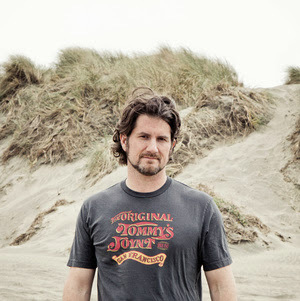 Some of Nathanson's most popular songs include "Come On Get Higher," "Run" (featuring Sugarland) and "Faster." Nathanson will be performing with Joshua Radin at The Blue Note Tuesday evening, November 19. Tickets can be purchased for $22.50 at the MSA/GPC box office in the MU Student Center, from The Blue Note box office or online at thebluenote.com. Lucky for you, one College Gloss Mizzou reader will win a pair of tickets to the show! All you have to do to enter is follow @CollegeGlossMIZ on Twitter and tweet at us with your favorite Matt Nathanson lyric. The winner will be announced later this week. Tickets courtesy of The Blue Note.